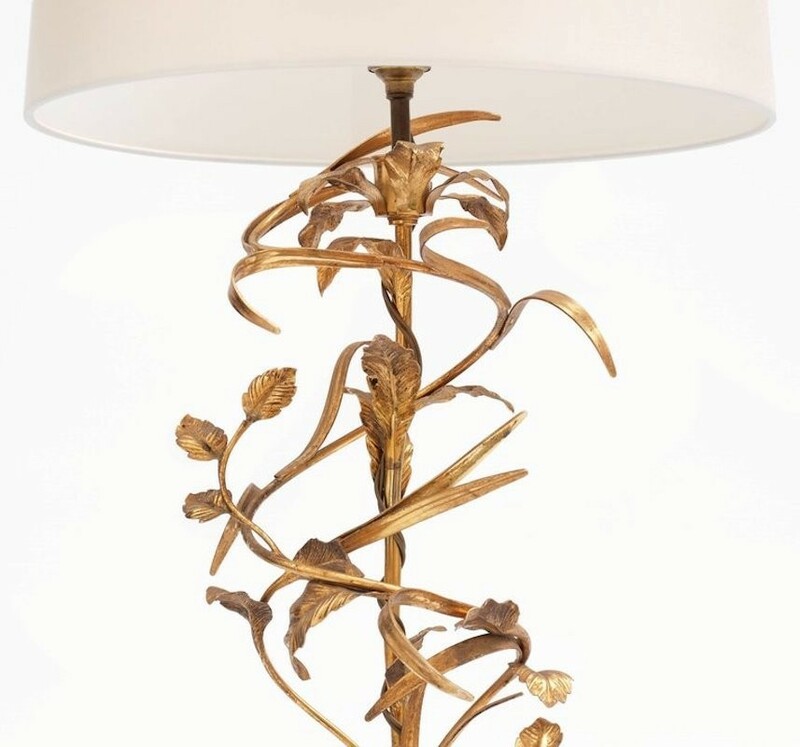 A glorious 1940s spiral formed table lamp by the distinguished French design house Maison Charles. 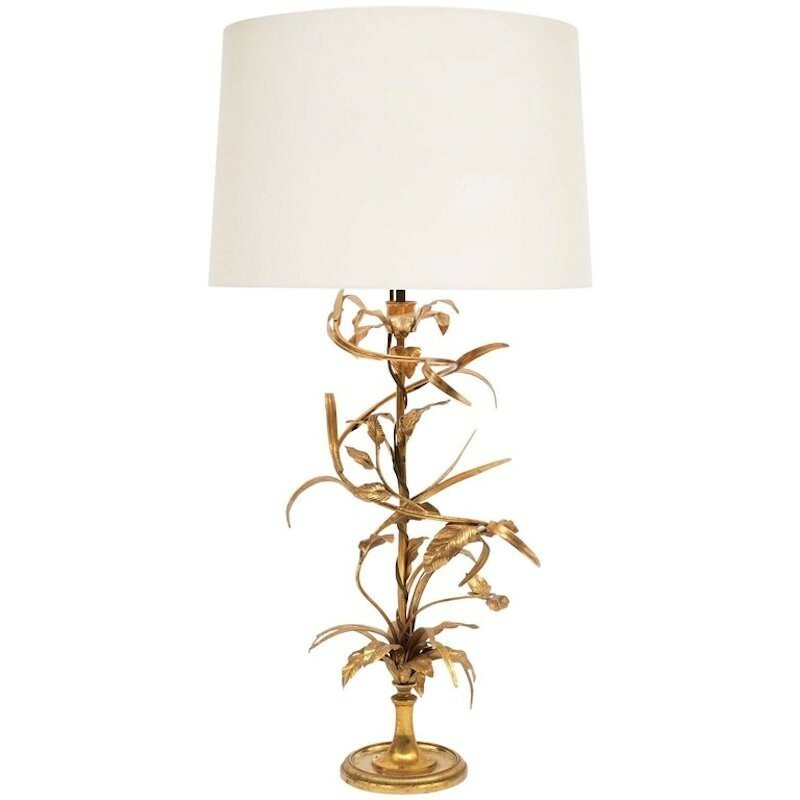 The delicate cast leaves are gestural and naturalistic, their playful narrative makes a delightful marriage with the lamps neoclassical stem and base. 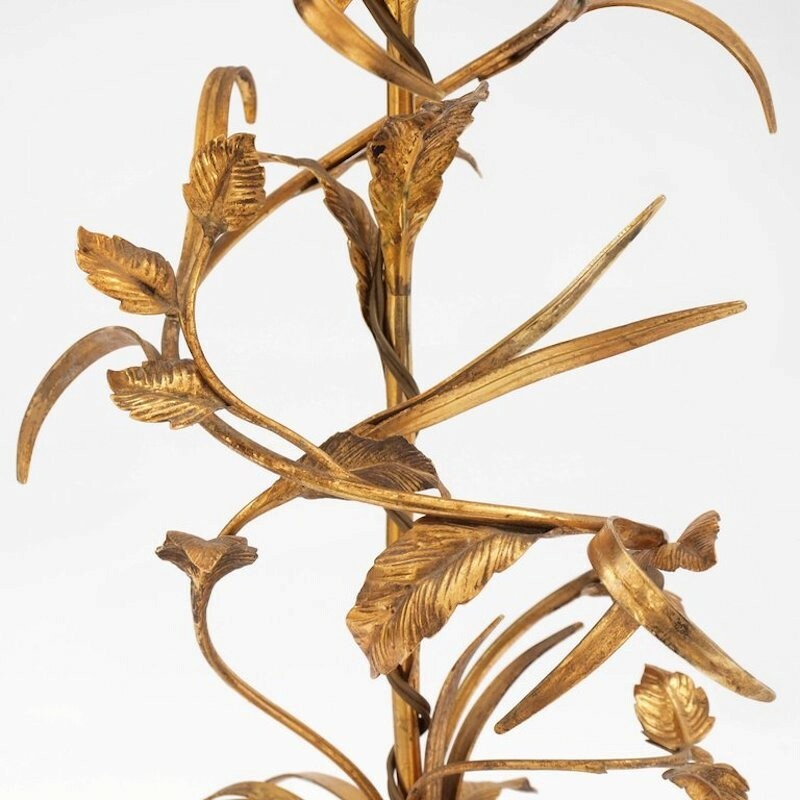 In good original condition with some loss of gold gilt.